Noctule: The Ram that latched onto me regarded me as their property to such an extent that breaking up was impossible. I even said that it was over, that I didn’t want anymore, and the Aries totally plowed that statement down and latched onto tighter…. I wonder if the majority of Ariens or people with heavy Arian influences are this oppressive and tunnelvisioned. BlahBlah: I broke up with my [Aries] boyfriend in October of one year and he still considered us together all the way through February of the next year and kept pestering me about getting back together. Aries is the “my way or the highway” sign of the zodiac. Being the first, its concern is its own needs, period. 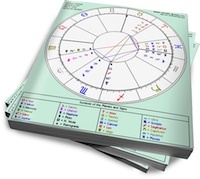 If you look at the progression of the signs of the zodiac from a developmental perspective, there is a movement from personal to relational to collective or transpersonal concerns. Just looking at the fire signs, you can see this progression: Aries is the initial burst of vitality, channeled towards initiating a project or satisfying an impulse. Leo concerns “play” as well as the need to be recognized (by an “other”) and to express warmth and generosity towards others. Sagittarius relates to one’s passion to explore the world and understand the codes of ethics/philosophy/religion that keep us functioning together as a society. Aries can be egocentric. The sign opposite the Ram is Libra, which is all about taking into consideration the needs of others. The sign of the Scales balances the deficiencies of Aries. To some extent, Aries’ needs are the only needs that matter. If they’ve got an objective or desire, they’re going to hurtle down the track whether you hop on the train or not. The problem is that some Aries can be bullies, and they will pull you on board even if you don’t want to go along for the ride. Comment below: Share your experiences with Aries … the good, the bad, the ugly. Just leave them they will only hurt you n then end . why prolong ur torture. i left an Aries. n now i am happy. he stressed me out like crazy. if you love him don’t worry he will call you one day if he has your # telling you how much he misses you, putting on a pity act. just like he is calling all his other women seeing what one takes the bate. i just listen to him talking his bull ish… realizing how foolish i mist have been for him to even think imma fall fall the crap he is saying. Well Aries is getting a bit of a beating here. They are not fickle people but quite loyal. Yes they think of their interests because their mantra is-if I dont take care of myself -no-one else will. So perhaps call it self preservation. As for Aries in love, enjoy the holding on, and even the not-taking no for an answer that some of you describe and are fed up with. I can give you one guarantee- once a true Aries leaves you, they forget that you ever existed. They turn cold as ice and immovable as a mountain. And some people cannot reconcile those two faces of Aries, the stubborn, the cold and detached. Why is that so you might ask? In the Aries mind he/she did everything he possibly could to make it work, but it did not. And they will move on from you hell or high water. And they dont really think of or hanker over you, their new adventures consume them as they discover all that getting stuck in the rut had denied them. Once an Aries moves on. They move on. They dont change their minds. They will not see you in the same light again once they are done. Leo woman who broke things off with an Aries man out of emotional anger. I was upset one day about something and took it out on my boyfriend of only 5 months. Now I regret what I did and he won’t pick up or return my calls. Are Aries forgiving? Wondering if it will take him time to process things and talk things through.